← 014 : Because … Fallout 4! What about failure? Your greatest ideas don’t live up to your expectations. You haven’t conquered the world. And yet, as Ira Glass says, your taste is killer. This is the season one finale of Game Design Zen – you won’t want to miss it. Happy Holidays! 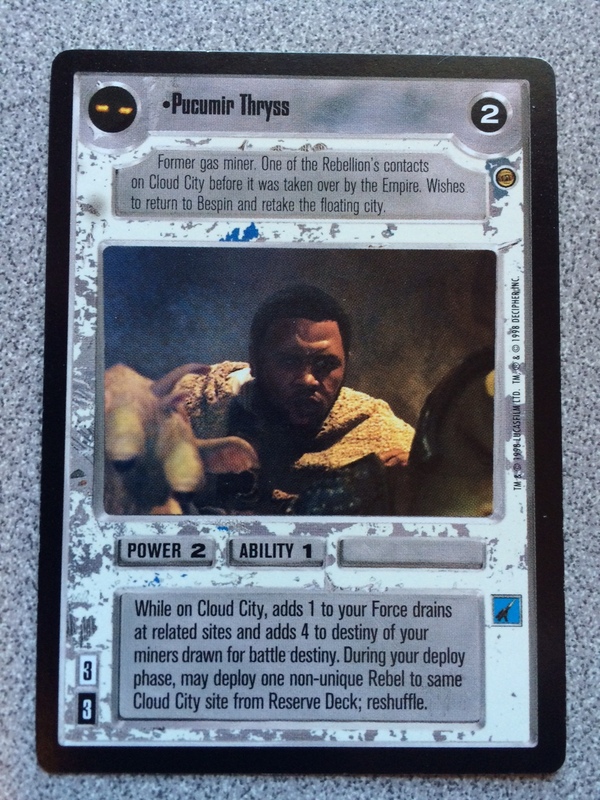 Star Wars – Pucumir Thryss – Anagram of me! I’m part of the Star Wars universe! Say... You mention in your intro about learning the art, the science and the business side of things, and that got me thinking... Could you make an episode dealing with the business aspect? For instance, I'm pretty sure a lot of us would like to have our own independent game making studio, could you tell us about your beginnings and how you got Gigi Games up and running? Thanks for the great podcast, it is actually the first and only podcast I listen to. @Kensai__ Great suggestion kensai! Let me mull on that when I get back. Happy Holidays to you. Awesome! Happy Holidays to you, as well. I love your podcasts. Very well-considered and informative. Please keep them coming. It would be amazing if you could extend the RSS feed length so I can automatically download your older episodes in my podcast viewer. Your RSS feed is currently limited to the 10 latest episodes, and I can get the older episodes on this site, but there were some gems in those first few episodes and it'd be great if I could download them directly. @francoisvn Is that any better? Took me a while to find it. You were right, there is a setting for max posts in RSS feed. Bumped it up to 99! Awesome catch. Know something else? Apple makes it nearly impossible to write a review. Love it if you could open iTunes (on mac or PC) to leave one. Helps new users find it. I don't know it it's something you've thought about, but I'd be interested in seeing an episode on narrative vs systemic design. I feel like at the moment they're quite at odds with each other and this doesn't quite sit right with me. It feels like a deficiency of game design that both approaches can work, but that they seem to be in conflict. Sure, their audiences' tastes can be different, but systemic design already caters to a wide range of audiences and many people enjoy games made with narrative or system design principles. My intuition tells me that as game design advances, we'll learn to see them as merely different ways of looking at the same thing. If you're looking for a topic, I'd be interested to hear your thoughts on this. @francoisvn @gigiwoo Got a link that covers systemic design? Tell me more. Hi! I really love your podcast, do you have a discussion group or something similar linked to your podcasts? I'd really like to read/participate in discussion about things you bring up but have been unable to find one. If not then no worries. I want you to know that while I'm not going to be taking the world by storm with my games that I concepts you have introduced me to have helped me look at what I create in a different perspective and has had a positive impact in their quality and I really appreciate the time you've taken and the manner you've presented your podcast in. Happy Holidays! @islipaway Can I ask a favor? Though there's not a specific discussion group, I do moderate the Game Design forum for Unity. It's a great place to discuss game design topics (link below). You can even get specific feedback, if you have a Unity based game. Hope to see you there. iTunes makes it hard to get reviews for podcasts. Hundreds of subscribers - only 5 reviews. Please leave one. Happy Holidays to you - your kind words meant a lot! Ah I listen through player.fm, does it hurt your stats if I listen to it through anything other than itunes? Also I downloaded itunes just to leave you a review and it took me quite some time to even find your podcast. Now I've found it I can find no way to leave or read a rating or review! I thought apple was all about ease of use?! I use UE4 for game design stuff so I'd probably not be able to use that forum for feedback but I'll keep an eye there for discussion, cheers! @islipaway @gigiwoo Stats are funny business. Listen to it however you like. If you want to be awesome, the only real way to leave an iTunes review is to open iTunes (the app) on a PC or Mac, and find the podcast there. Then you can leave a review, and yes, it's an awful process. Thanks for trying!